Believe it or not it is hard to find really good olive oil these days – especially imported oil. It turns out there is so much fake oil out there, even in top brands, so you have to be weary. Which is why I like to stay with a quality product like the Extra Virgin “Shorty” Olive Oil I found from fine folks at The Other Brother. 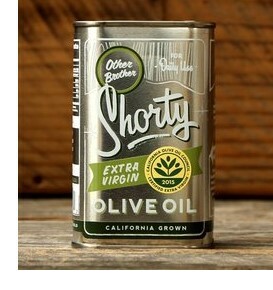 Find the Extra Virgin “Shorty” Olive Oil from The Other Brother here. See all the products from The Other Brother here. Lost Cowboy is powered by	WordPress 5.0.4 and delivered to you in 0.782 seconds using 40 queries.